San Jose, CA - Elena Bruckner and Ronna Stone punched a return trip to the California State meet with another 1-2 finish in both the shot put and discus, Friday. It was a historic day that saw Bruckner break the CCS record with throw of 53-5.5. That mark is a national leading mark that places her #10 all-time in U.S. history. Stone finished atop of the podium in the discus winning her first CCS championship with a throw of 155-7. Just shy of her personal best of 158-10 earned in last week's trials she enters the California State Championships as the top seed. Freshman Athyia Iese was the only underclassman in the girls shot put final and impressively finished on the podium finishing 6th on the day. Three Warriors competed in the final: Elena Bruckner, Ronna Stone and Athyia Iese; all placed on the podium. 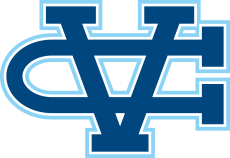 The Valley Christian Warriors placed third in the team competition. Holding a slim one point lead into the final event of the evening, four teams finished within 6 points of each other Los Gatos nudging Saint Francis 44.5 to 44 points. Valley Christian finished with 39 points on the evening, Santa Cruz with 37.5.